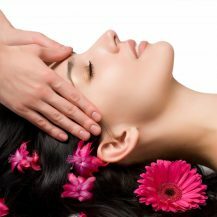 Indian head massage works physical and psychological and the aim is to achieve balance of mind, body and spirit. These must be in harmony within oneself to achieve well-being. Physically relieve symptoms of migraines, neck, back pain build up tension, detoxifying the body by stimulating lymphatic drainage, boosting overall immunity, improving circulation, which in turn increases energy levels,promoting clarity and increased concentration, soothes symptoms os asthma by calming the respiratory system, relieves mandibular joint tension, increases muscle tone, relieve symptoms of sinusitis , boosts cerebral spinal fluid circulation, and relieve sleeplessness , restlessness and insomnia. Psychologically improving overall mental health by relieving symptoms of anxiety and depression, providing relief from stress and promotes relaxation, improving energy levels, increasing feeling of peace, calm and we’ll-being and boost memory capabilities.